The Order of Malta’s mission is summed up in its motto “Tuitio Fidei et Obsequium Pauperum”: nurturing, witnessing and protecting the faith (tuitio fidei) and serving the poor and the sick (obsequium pauperum). The Order was born as a monastic community inspired by St John the Baptist in the Holy Land around 1050. The Hospitallers ran a hospice providing care and shelter for pilgrims of any faith. In 1113 it received formal acknowledgement as a religious order from Pope Paschal II. Before the loss of the island of Malta (1798) all knights were religious, having taken the three vows of poverty, chastity and obedience. The Order of Malta runs humanitarian, medical and social projects in 120 countries. It is especially involved in helping victims of armed conflicts and natural disasters by providing medical assistance, caring for refugees, and distributing medicines and basic equipment for survival. In developing countries, activities are often backed by grants from governments, the European Commission or other international organisations. Funds also come from donations or benefactors’ contributions to the Order of Malta’s activities. The head of the Order is the Grand Master elected for life who governs both as sovereign and as religious superior, and is assisted by the Sovereign Council, which he chairs. 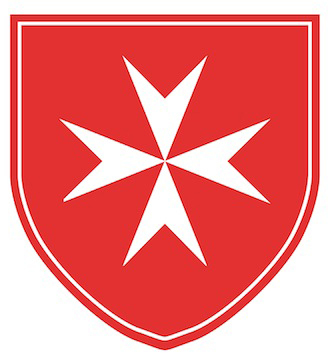 While members of the Order of Malta in former times traditionally belonged to the aristocracy, the emphasis today is on a nobility of spirit and conduct. Nobility in this deeper sense means: carrying more responsibility than others. Such an attitude is realised in social responsibility, loyalty to the Catholic faith and Church, readiness to uphold Christian tradition and commitment to a corresponding attitude to life and to reach out to people in need. Today, the majority of its members no longer come from ancient noble families, and are admitted because of manifest merits towards the Church and the Order of Malta.